Memories of nearly going bankrupt scared the $840 bln firm into keeping an absurdly conservative balance sheet for two decades. Returning about $50 bln to investors annually shows progress in overcoming the trauma. Eliminating over $160 bln of net cash could be next. 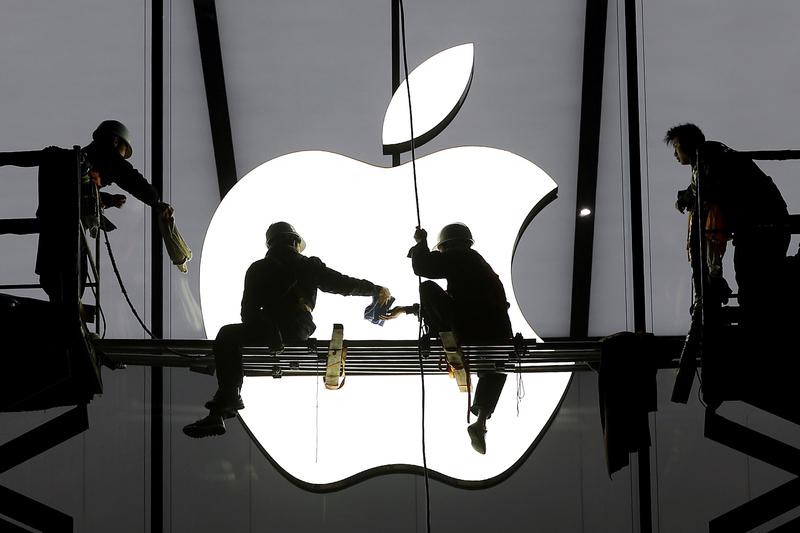 Workers prepare for the opening of an Apple store in Hangzhou, Zhejiang province, January 23, 2015. Apple will report earnings for its fiscal second quarter, the three months to March, on May 1. The company said it expects to lay out its plans for returning excess capital.